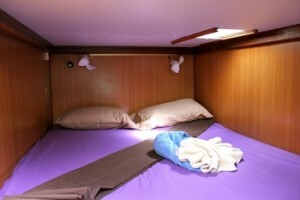 Sailing Catamaran Baraka is a fun loving and eco-friendly high-performance Nautitech 475, accommodating six guests in three equal, ensuite queen bed cabins. 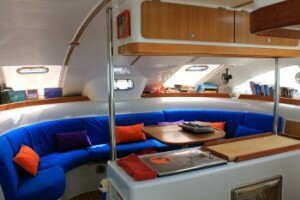 Colourful Baraka features a large spacious cockpit acting as an extension of the wide saloon with plenty of room for socializing and relaxation. BARAKA features eco-friendly, biodegradable products and is equipped with solar panels, wind generator and water maker that offer the possibility to remain secluded from populated areas, great for serious divers, nature lovers, or a very romantic escape for honeymoon charters. 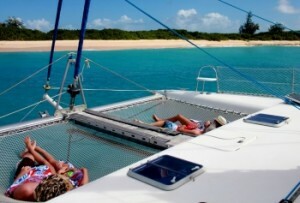 Catamaran Baraka is a charter yacht dedicated to FUN! Lots of toys and helpful crew will make your holiday a smiling adventure.